Professor Terry Nolan, Chair of ATAGI, was included as a cc on my letter to the Federal Minister for Health, Tanya Plibersek, questioning government mandated vaccination of children with two doses of live Measles / Mumps / Rubella (MMR) vaccine, despite the fact most children are likely to be immune after the first effective dose of MMR vaccine. Revaccination of already immune children constitutes over-vaccination, particularly as serological testing is available to verify a response to initial vaccination. It appears unlikely that parents are being informed of the option of serological testing, and instead are being coerced to have arbitrary revaccination of their children with a second dose of live MMR vaccine (misleadingly described as a ‘booster’). The Minister’s office refused to respond to my letter. 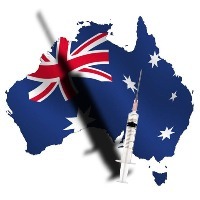 On 11 March 2013, I forwarded an email directly to Professor Nolan of ATAGI, requesting his response to the questions originally put to Federal Health Minister, Tanya Plibersek, about the arbitrary second dose of the MMR vaccine. Professor Nolan’s response failed to properly address the important matters I had raised in relation to ‘informed consent’ before vaccination, and also disclosure of potential conflicts of interest of members of ATAGI. My experience in corresponding with the Federal Health Minister’s office, and the Chair of ATAGI, on this matter has been entirely unsatisfactory. I have also forwarded a letter to Professor Warwick Anderson, CEO of the National Health and Medical Research Council (NHMRC), suggesting the ethical spotlight needs to be shone on the way vaccination policy and practice is being implemented in Australia, and I provide examples of the lack of transparency and accountability in the vaccination bureaucracy. I have been advised by Jillian Barr, Director, NHMRC Health and Research Ethics Section, that my letter to Professor Anderson, and my letters to Professor Olver re the MMR second dose, will be considered by the NHMRC Australian Health Ethics Committee at its meeting in May 2014. I have established a webpage to record my correspondence with the NHMRC re vaccination and ethics.